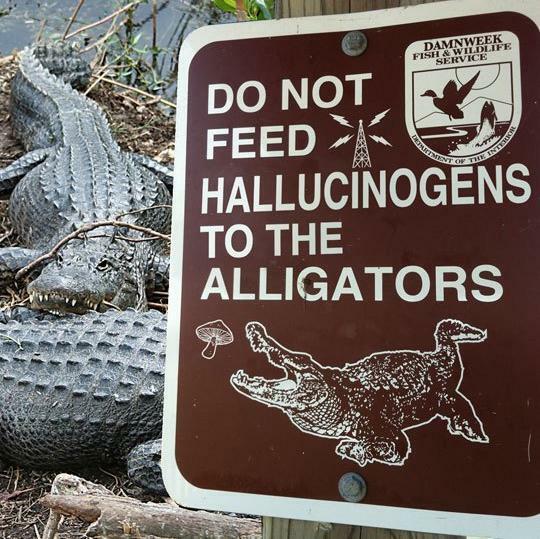 OrbsCorbs: "Do Not Feed Hallucinogens To The Alligators"
I wonder what the story behind this sign is? Who would feed hallucinogens to alligators, and why? Pretty soon the alligators will be crack addicts. Who did it so often that a sign was required? Finally, how do alligators act when they're tripping? So many questions, so few answers.